The new Jetta has certainly turned some heads on the streets with its new creative starring the car with its dynamic features. And if you have fallen in love with the Jetta too, Collateral considers the job well done. The press ad was further adapted into standees and backdrops. 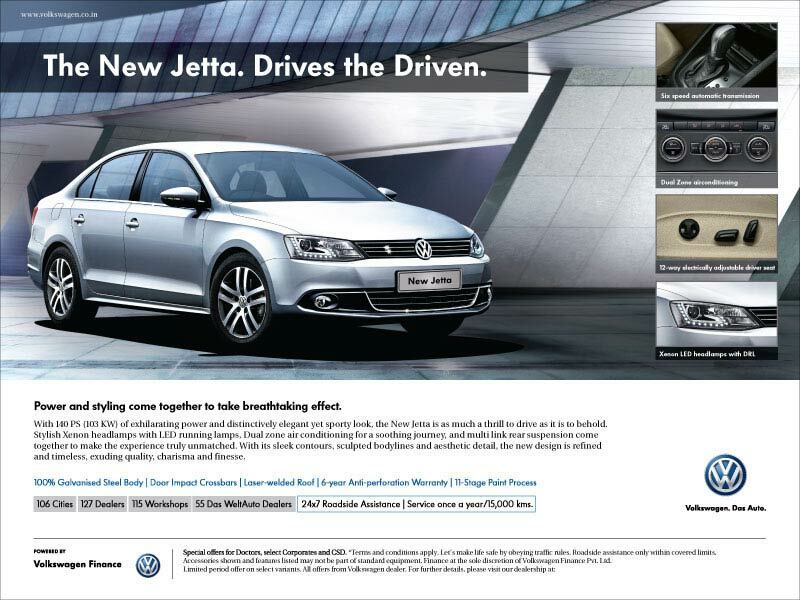 While the new Jetta drives the driven, Collateral has also driven a lot of appreciation for the kind of thoughts and efforts put in to make this ad successful.